The mission of the Newport Police Department is to consistently invest available resources toward our City's reputation as a safe place to live, work, play, learn, and visit. This will be accomplished by complying with professional standards established by the Oath of Office, Professional Code of Ethics, and administrative directives. We will perform in a manner that promotes the public's trust, confidence, and sense of safety and security. Community members and visitors can choose up to three ways to receive emergency notifications and community information from the Newport Police Department. For questions or more information contact Lincoln County Sheriff's Office - Emergency Management at (541) 265-4199 or vdemaris@co.lincoln.or.us. The Newport Police Department will distribute all official media releases through the FlashAlert Newswire system. Local and regional media partners are encouraged to subscribe to this free service to receive future notifications. FlashAlert Newswire provides information to the media for broadcast and web display. In addition, each member organization has its own web page where the public may see their closure status and latest news. Media Releases will continue to be posted to our website, in addition to distribution through FlashAlert Newswire. 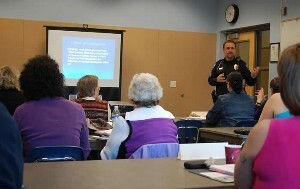 The Newport Police Citizens’ Academy is scheduled to begin on April 23, 2019 and conclude on June 25, 2019. Interested applicants may find more information and an application here. Applications will be accepted until 5:00 p.m., April 19, 2019. Lobby Hours: Monday - Friday, 8:00 a.m. to 5:00 p.m.
Impounded vehicles released Monday - Friday, 9:00 a.m. to 4:30 p.m.
Property/Evidence released Monday - Friday, 9:00 a.m. to 3:30 p.m.
Click the logo above to view recent criminal activity reports in Newport.